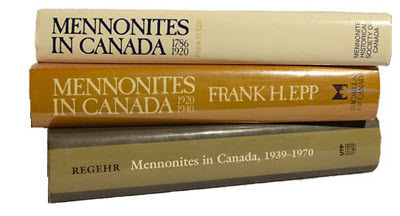 Mennonite Research . . .
North America became the destination of choice for Mennonites as early as 1683. The appeal of religious freedom and free farmland influenced their decision to leave South Germany and Switzerland to seek out the “New World” in the State of Pennsylvania. 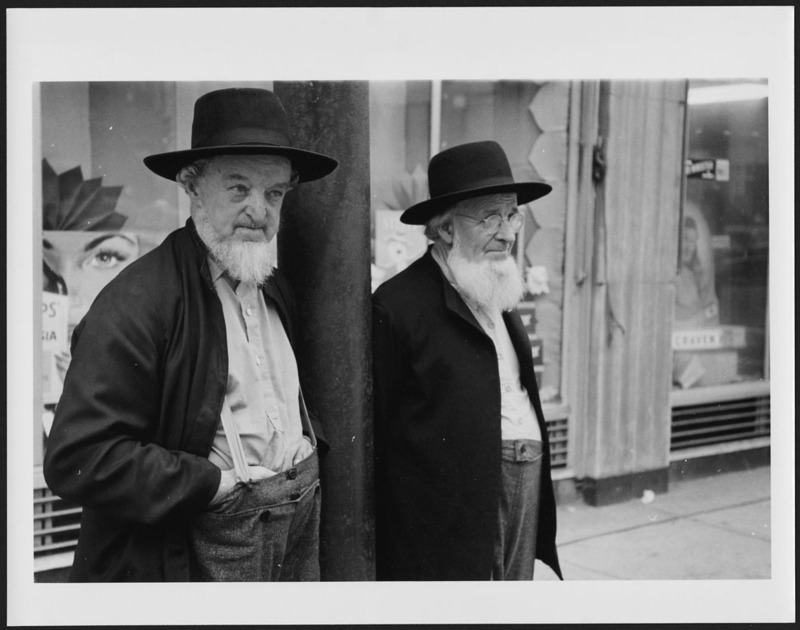 The arrival of Mennonites in Canada goes back to the late 1770s. The Swiss Mennonites left Pennsylvania and crossed the Niagara River to settle in Canada. During that same time period, about 2,000 Pennsylvania Dutch, as they became known, left the United States to settle in Canada. Free land and avoiding military service in the American Revolution were motivating factors to head north to Canada. Others such as Gerhard Wiebe led German Mennonites from Russia in the 1870's and 1890's to Manitoba's East and West Reserve, then onto Saskatchewan. A member of the Grande Prairie Branch has the following books in her personal collection. Fern is willing to conduct look-ups or meet with researchers at the Grande Prairie Public Library to review the books. Please email her at fernkdyck@gmail.com for further information. Mennonite Homesteaders on the Hague-Osler Reserve — Leonard Doell ed., Mennonite Historical Society of Saskatchewan publishers, 1999. 536pp. Homestead records of Hague-Osler Reserve and 1901 Canadian Census records for that area. 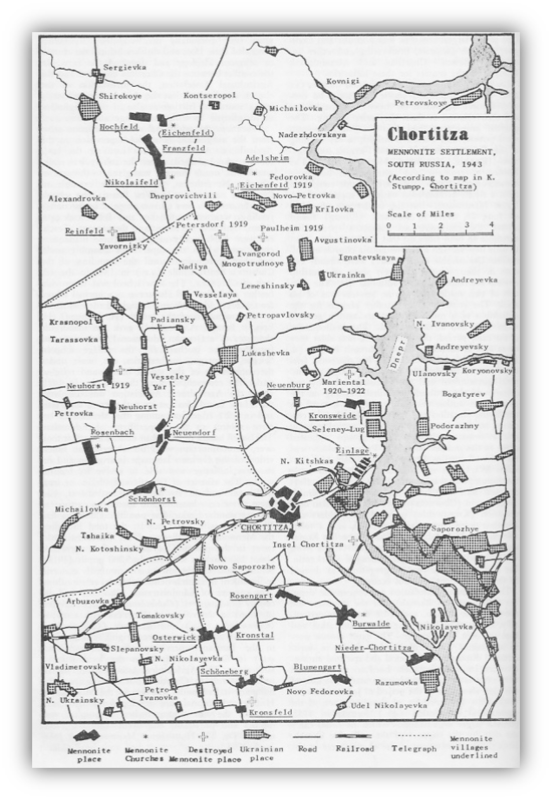 The information is cross referenced to the Bergthal Gemeinde Buch and the Reinlander Gemeinde Buch. Hague-Osler Mennonite Reserve — Leonard Doell ed. This appears to be a “sister book” to the 1st stories and photos marking 100-years. Hamm & Quiring Photos, Stories and Genealogy — Wendy Hamm author and publisher. Eischt Ehma Peter and Maria Braun Family History, 1730 - 2013 — Martha Unrau author and publisher, 2014.